We spoke with an art collector and appraiser who bought a silver platter at an art auction for $45. After some research, the collector discovered what it was really worth, and sold the platter for $12,000. 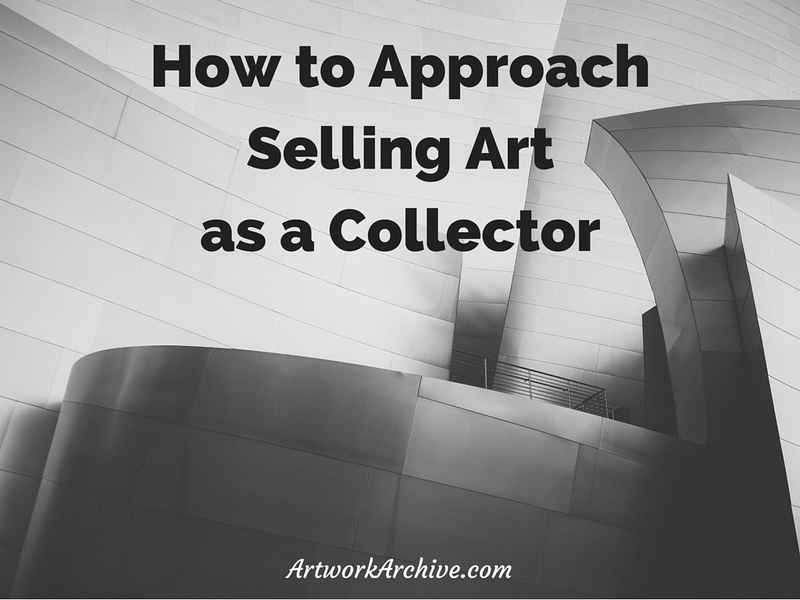 You may have developed a new focus for your collection and wish to sell artwork that no longer fits your aesthetic. Maybe you are letting go of your art storage space to make your collection of assets feel more reasonable. It’s time to line up the necessary documentation. This includes the provenance documents, artist name, materials used, recent appraisal, and dimensions, which can all be exported from your Artwork Archive collection inventory. A dealer or auction house will use this information to outline the costs of promotion and commission. These documents will also determine how to file your taxes. With all the appropriate documents in hand, you can now begin researching potential buyers and learning the process of selling art. If possible, start with the artist or where you bought the piece. These resources will likely have advice on who might be an interested buyer. The original seller may have interest in buying back the work for re-sale. In some scenarios a gallery will display the piece for a re-sale, meaning you are still the owner if it doesn’t sell. If that’s the case, you should work with them on the most effective and alluring display. Have the details of how the piece will be marketed or available to potential buyers. Whether you are selling through an auction house or gallery, the commission should be outlined for you at the onset so you are clear on your possible profit margin. Working with an auction house is another option, if you are comfortable with them taking a commission. 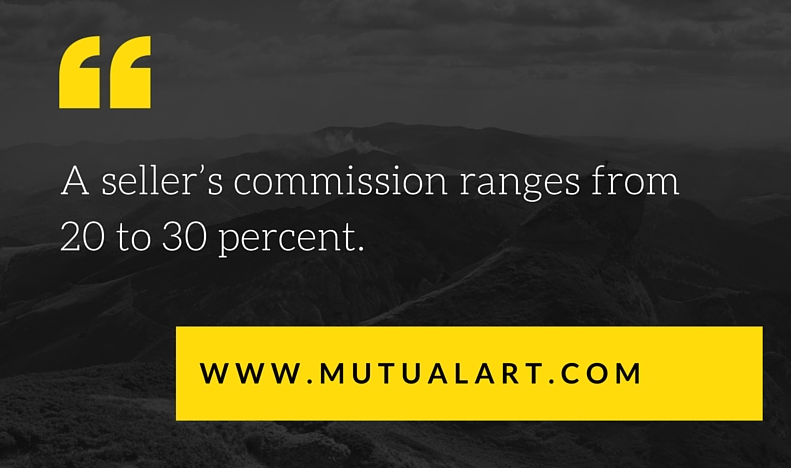 A seller’s commission ranges from 20 to 30 percent, according to Mutual Art. Find an auction house with good communication that is willing to work with you. They should be responsive to your questions and fill you in on the high season and low season for their company. You can negotiate their auction house fee to a number you are comfortable with. Work with them on a fair sale value. You want to be happy with this number and also confirm that it is not too high, which might intimidate potential buyers. You also want to make sure your insurance company is aware and your policy is up-to-date in the event of damage. Confirm transportation restrictions to prevent damage. Read through the contract very thoroughly and consider having your attorney review it. Like with auction houses, you want to enjoy working with a gallery. These people are selling your art and the best way to confirm they have top-notch customer service is by visiting them first. Make sure you are greeted at the door and treated well from the start. Make sure the gallery is a good fit for your artwork by considering their current collection and pricing. You can work with an art advisor on finding the best art gallery that falls within your specifications. Once you have found the right art gallery, you can either go through an online submission process or an in-person meeting. If the gallery is accepting new artwork, they will either buy the piece outright or it will be displayed on the wall until it is sold. Galleries will generally take a set commission upon the work being sold. In some cases they will lower the commission, but charge a monthly fee for the artwork being on their walls. Where will the art be displayed? When will you be notified of a sale? Who is in charge of damages? If you enjoy working with the vendor, and they have good customer service, it’s likely that they will treat potential buyers the same way. Selling art is a great way to keep your collection dynamic, and to make contacts in the art world. Whether you decide on an auction house or a gallery, continue asking questions until you feel informed and satisfied. Find out when working with an art appraiser could help the selling process go more smoothly. Download our free e-book, Essential Guide to Collecting Art, for more profitable tips. We've all heard it. The dreaded, "my child could paint that." But, what should you be looking for in an abstract painting to determine its collectability? If you are new to collecting art, you might not know exactly what you like. Here's how to begin.